As an additional cost to play Skeletal Scrying, remove X cards in your graveyard from the game. I'd say for your first EDH deck this looks pretty solid. Something to remember when building future decks that is very important is the mana base and the distribution of colors. The only changes I would make to your mana base are cutting the Dimir Guildgate and Choked Estuary and 3 Island for 5 Swamp . First off any land that will enter the battlefield the majority of the time will actually hurt the deck more than you think. The only reason to cut 3 Island is that your devotion to black in the deck is so high that drawing multiple Island will make game play very hard for you. 1) Try to use the least amount of Planeswalker you can. At first I put the same amount in my decks that you have here, but over time you will realize they really do little to nothing since opponents kill them so quickly in combat. 2) Try to stay more devoted to your main theme in the deck. I feel the deck looks more like a Dimir "goodstuff" deck with a Zombie side theme at the moment. I would expect it to put out better results if you included more things like... Herald's Horn , Urza's Incubator , Coat of Arms , etc. 3) NEVER UNDER ESTIMATE THE POWER OF CARD DRAW!!! This one may take you a long time to realize, but trust me on this one. Card draw is the best thing you can do in Magic. You can go with long lasting card value on things like Phyrexian Arena or quick one time use spells like Skeletal Scrying and it will always be great. BTW, if you have any other questions on deck building tips/suggestions just ask me in the comments and I will try to respond as soon as possible. Hi, you could try to improve your card draw with: Read the Bones , Ancient Craving , Skeletal Scrying , Night's Whisper , Sign in Blood , Ambition's Cost or Dawn of Hope , Tymna the Weaver . Alms Collector could be nice, if your meta plays a lot of card draw spells. I hope some of these cards are helpfull. completeR3tard on Elenda, Dusk Rose. Orzhov Vampires. @ triproberts12 Thanks for the detailed reply! 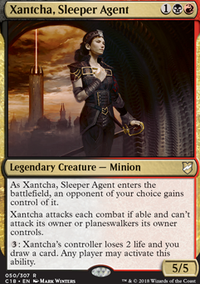 I had looked at Athreos, God of Passage and Vish Kal, Blood Arbiter as possible commanders for the deck but no one really seemed to be doing Elenda so I thought I'd give it a whirl. I did not know that your commander had to go to the yard to count as dying, which definitely changes things a little. Skeletal Scrying , Cremate , Purify the Grave , Bloodline Necromancer , Unburial Rites , Faith's Reward , Hell's Caretaker , Second Sunrise all seem like very nice options for getting around that. Dimir House Guard seems really good, especially since it doubles as a tutor for Phyrexian Altar . Pawn of Ulamog also seems like a very strong combo of token gen and ramp. In future I may go more heavily down the sacrifice route, but at the moment I still want to keep the Malakir Bloodwitch / Bishop of the Bloodstained ETB wincon, it feels a little more unique than the usual Blood Artist + Phyrexian Altar / Ashnod's Altar + tokens. Picking up a Vanquisher's Banner to buff the tribe a little and get some draw seems nice too. What cards do you think should just be cut altogether? Providing I'm keeping to the idea of winning by sac, etb, or just having a strong board. Thanks very much for the suggestions you already gave, much appreciated. Read the Bones: Honestly, the place I need card draw in this deck is to rebuild after getting my board wiped, which is why I've emphasized permanents that provide consistent card draw rather than one-time effects. I have enough tutors in this deck that I rarely feel starved for cards. Mask of Memory: Could be a very good idea! I'll test it here, I've loved it in several other decks. Not a fan of Skeleton Key or the auras - the former is just generally a bad card IMO, and when using the auras it's dangerously easy to get 2-for-1'd. Memory Jar: Pass, far too slow. It's a powerful card, but this is the wrong deck for it (Memory Jar works better in a deck with a huge number of 0 and 1 drops). Bazaar of Baghdad: Yeah, no, not gonna pay that price tag. Not to mention that the deck isn't GY-focused enough to mitigate the card-negative aspect. 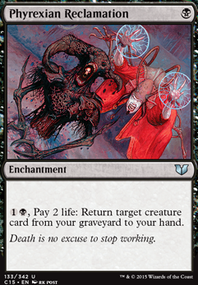 Skeletal Scrying: I think you're emphasizing the role of discard effects in this deck way too much. The deck doesn't put much in GY, and I don't like paying 1 mana per cards, especially with a highly conditional effect. I concur with OptimalGreen on this. Whispersilk Cloak: Can be a good card in the right circumstance, and I've had it in this deck at certain points, but my current meta has more mass removal than spot removal. Probably won't help much at the moment. Underrealm Lich and Izoni, Thousand-Eyed: I'm... not sure how either of these helps, at all? Neither does anything for my deck's goals, and they drive my curve into the stratosphere. Not a fan of such conditional, low-impact card draw. Concordant Crossroads: I've considered it. 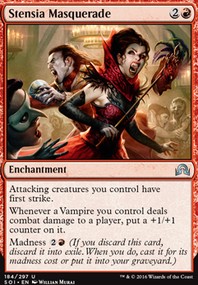 But with my combos, Obelisk Spider or Blood Artist usually fulfill the same "win instantly" role, and are much easier to tutor for with my creature-specific green tutors. Note that this does NOT help with the Earthcraft/Squirrel Nest combo. Viridian Corrupter: Another card that's been in and out at certain points. While the fact that he can't hit enchantments is a problem, the bigger issue is that people almost never attack me in this deck, unless they have flying (expendable, deathtouching snakes are a wonderful deterrent for attacks). Fauna Shaman: Nah. Not repeatable, suffers from summoning sickness, dies to creature wipes and a couple global -1 counter placements. Vedalken Orrery: I really do not like this card, honestly, especially since I need to cast certain spells before or after combat in this deck. People think it's good, but it just draws hate and gives little actual advantage. I'd rather run protective spells like Golgari Charm and Heroic Intervention. Bear Umbra: I like the protection and discard much better on Sword of Feast and Famine, not to mention the fact that it sticks around after the creature dies. Phyrexian Tower: I have considered this actually. Jury's out on whether Ifnir Deadlands is good enough - it's been intermittent, not bad - but the honestly bigger problem is that I hate the newer art on it. Well as far as additions are concerned, I dont know if I have what you are looking for, but here are a few cards I can make a strong argument for. Read the Bones - Not the same ceiling as a card like Driven, but definitely a higher floor. I dont know how fast your metta is, but if you are like me, when you want to draw cards, you want to draw cards now and not sit around waiting for upkeep or other conditions to be met. I think of Read the bones as a better version of Harmonize. I know for sure it deserves a spot in your 99 more than Deathreap Ritual and I would argue it more valuable than Phyrexian Arena too. 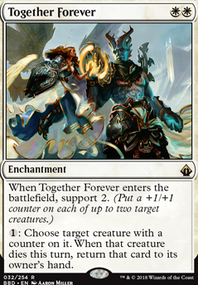 With a 2 cmc commander, you do often have 7 cards in hand on turn 3, so casting Read the Bones on curve might not be that desirable, but if you are in a pinch, I feel it's still worth it to bin one card in order to get whatever peace you need. If you haven't used this card before, run some playtests with it, I am never disappointed to have Read the Bones in hand. Mask of Memory or Skeleton Key - I personally haven't tried these two out yet but I was strongly considering them for the synergy with Archfiend of Ifnir. I was thinking that equipping the Mask to a snake would be a good way have the opponent not block, but that plan might not always work. The Key is a little more likely to connect could possibly help Hapatra get in but I'm not sure its worth it. Along the same line you could also consider Keen Sense or the slightly worse Sixth Sense. Warriors' Lesson is interesting in that you could use it on your opponents creatures. Memory Jar and Bazaar of Baghdad both have synergy with Archfiend of Ifnir again but are useful all by themselves. And if you are going to be discarding more often why not think about Skeletal Scrying (which is also helpful with all those fetchlands you have). In my own list I also run Whispersilk Cloak just for Hapatra but that doesn't have anything to do with card draw. Underrealm Lich and Izoni, Thousand-Eyed are higher on the mana dump but either one is worth considering and obviously they work well together. I know these two suggestions are kinda out there at first glance, but I think if you really consider their potential, they have value. It may require to much of a direction change for the deck right now, but good to keep these cards in mind. Concordant Crossroads - This is another card I'm surprised you dont run already. When your combo lands endless tokens, this can be a finisher for one mana. Viridian Corrupter - Because we tutor for creatures so often, I feel like this dude is worth including. If there is an artifact you really need to take out, why not overlap with some infect potential? Every deck has artifacts in it and no one wants to start taking poison counters, especially when they know you can proliferate, but that's just the threat, the real value is in the snakes he nets you when they block or attack (and they will attack if you are blowing up their nice things). Fauna Shaman - the budget version of Survival of the Fittest, why not run both? More tutor means more combo and more discard means more synergy for the Archfiend of Ifnir as well as other cards I mentioned like Skeletal Scrying or Izoni, Thousand-Eyed. Vedalken Orrery - Now I know this can be less helpful in the faster metta, but if you have the time to deploy it, it is very powerful. Many of the combos in your deck are creature baised, this protects them. It also helps set up that "Defense of the Heart. Bear Umbra - I dont know if you are in the market for more ramp but I like the idea of keeping Hapatra on the table as long as possible. And because the untap trigger doesn't require you to deal damage I would argue this is even better than Sword of Feast and Famine. Viridian Longbow - this one I wanted to throw in just for fun. It basically gives you another Ulvenwald Tracker tracker effect and could be very useful. Sad to see Tempt with Discovery wiff because a bug. might want to switch it out for Scapeshift. Another game ending combo is Dark Depths + Thespian's Stage. Other any land card Searches you might consider are Expedition Map (also combos with academy ruins), Ulvenwald Hydra, Pir's Whim, Sylvan Scrying. You might want to consider replacing waves of aggression with Aggravated Assault. it might be easier to remove but it would've gone infinite in your last game. please tell me Blinkmoth Nexus is a typo and you meant to put Inkmoth Nexus in your deck. Consider dropping Blue Sun zenith for Damnable Pact, Sphinx's Revelation or Skeletal Scrying the triple blue is too clunky in a five color deck. It was great seeing a win from this deck.